Michelle Cross Stitch Pattern to print online. 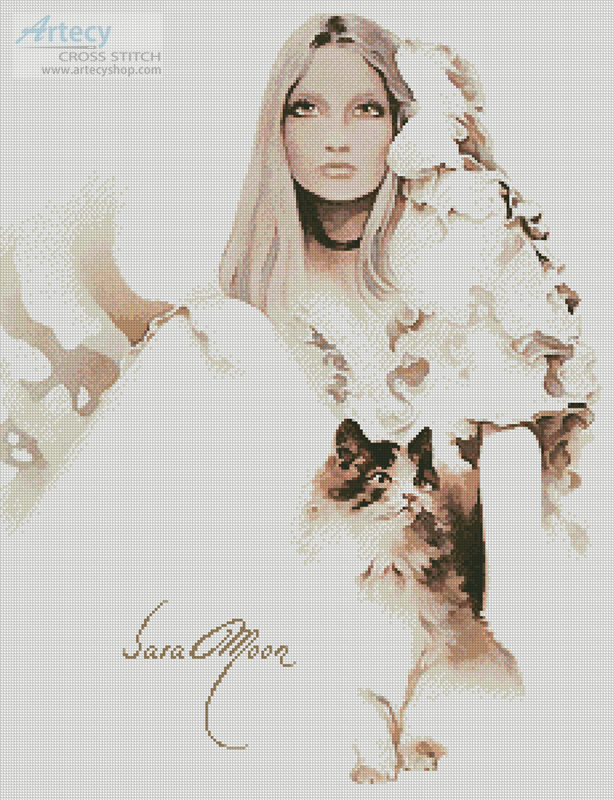 This counted cross stitch pattern of Michelle was created from the beautiful artwork of Sara Moon. Original Image Licensed through Sara Moon.